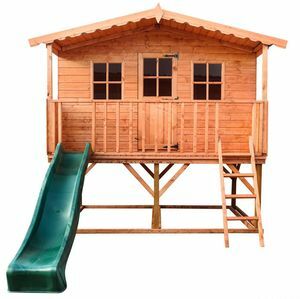 This fabulous Rose Tower Wooden Playhouse will provide hours of unforgettable fun for your kids and older children alike. The Rose Tower comprises of full tongue and groove shiplap cladding sourced from sustainable European forests, Super Strong framing, and joinery manufactured Windows and door with safety clear styrene windows. Complete with ladder to a raised verandah and playhouse along with an 8ft slide. 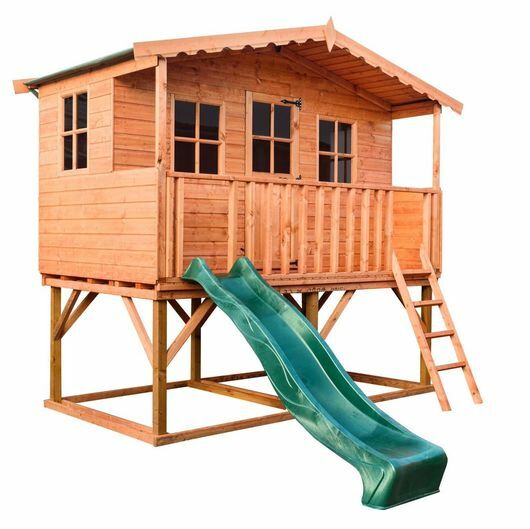 This sturdy raised Rose Tower also offers some extra space underneath to install a sandpit or to store bikes or other toys.